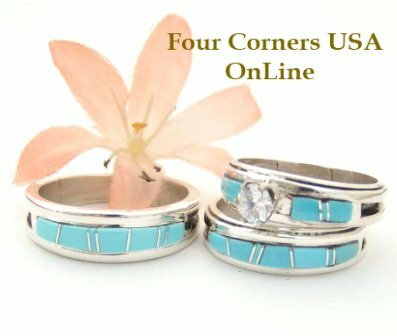 Native American Artisan made Fine Inlay Band style Rings for both Men and Women. 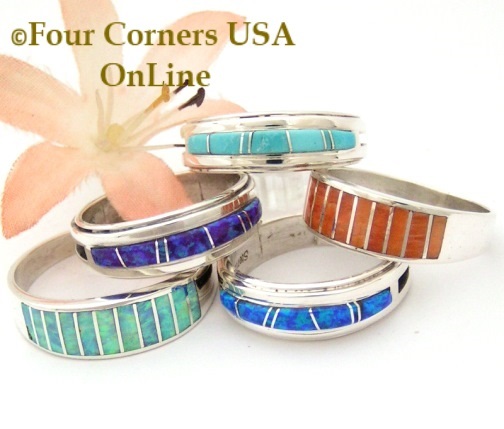 Beautifully handmade Sterling Silver Band Rings inlaid with Turquoise, Lapis, Spiny Shell, Coral, Jet and Fire Opal in various colors such as Purple, Pink, White, Blue. We offer a large selection of Turquoise Inlay Rings in various sizes for immediate delivery. Our featured Jewelry Artisans include Navajo Silversmiths Ella Cowboy and Wilbert Muskett Jr.